Blurb Description: It’s 2002, a year after 9/11. It’s an extremely turbulent time politically, but especially so for someone like Shirin, a sixteen-year-old Muslim girl who’s tired of being stereotyped. THIS BOOK WAS REAL AND BEAUTIFUL AND BROUGHT TO LIVE RACISM AND BIGOTRY THROUGH THE SHARP EYES OF AN AMERICAN-MUSLIM TEENAGER AND HOLY GOD. 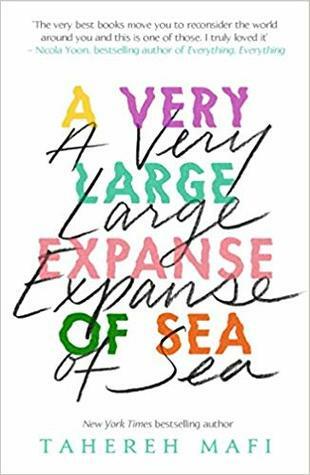 I finished it DAYS AGO and I’m still reeling at the message, the beautiful characters, their stories and just all the HOPE that made A Very Large Expanse of Sea. 1. It took me a little time to warm up to the characters in A Very Large Expanse of Sea. The beginning of the book itself was a little stiff, and I was scared that I wouldn’t enjoy this book as much as I hoped. This was also my first book by Tahereh Mafi, and I was a little nervous about whether her contemporary writing would be as good as I’d heard her fantasy books were. thinking about it, I’d read a few more chapters and within half the day, I’d finished more that three quarters of this MARVELOUS book and I regret NOTHING. 3. There were so many beautiful things about this book (that cover included) but most of all, I loved Shirin, the main character. I see how some people might find her jaded, but to me, she was just real. I understood her through Tahereh’s writing, through her actions and I LOVED her strength, determination, and REASONING in wearing the hijab despite everything she went through. 4. I also LOVED Shirin and her brother, Navid’s relationship. WE DON’T SEE ENOUGH GOOD BROTHER-SISTER FRIENDSHIPS in YA, unless one of them is dead and the other mourning and Shirin and Navid were the ABSOLUTE BEST. 5. Ocean was probably the whole reason I found the book stiff in the beginning. I knew I would grow to love Shirin and Navid, but Ocean was just strange. He eventually became better, and I love that he was never influenced by ‘public opinion,’ and I ended up liking him too. A Very Large Expanse of Sea is a magical piece of literature, fictitious and yet, so real. Tahereh Mafi’s writing made me think and feel and this book has become one of my all-time favourites. Tahereh Mafi is the New York Times and USA Today bestselling author of the Shatter Meseries. She was born in a small city somewhere in Connecticut and currently resides in Santa Monica, California with her husband, fellow author Ransom Riggs. She can usually be found over-caffeinated and stuck in a book. Shatter Me is her first series, with television rights optioned by ABC Signature Studios; Furthermore, her first middle grade novel, is on shelves now, and Whichwood, its darker companion, will be on shelves November 14, 2017. Have you read any of Tahereh Mafi's books? What do you think of them? 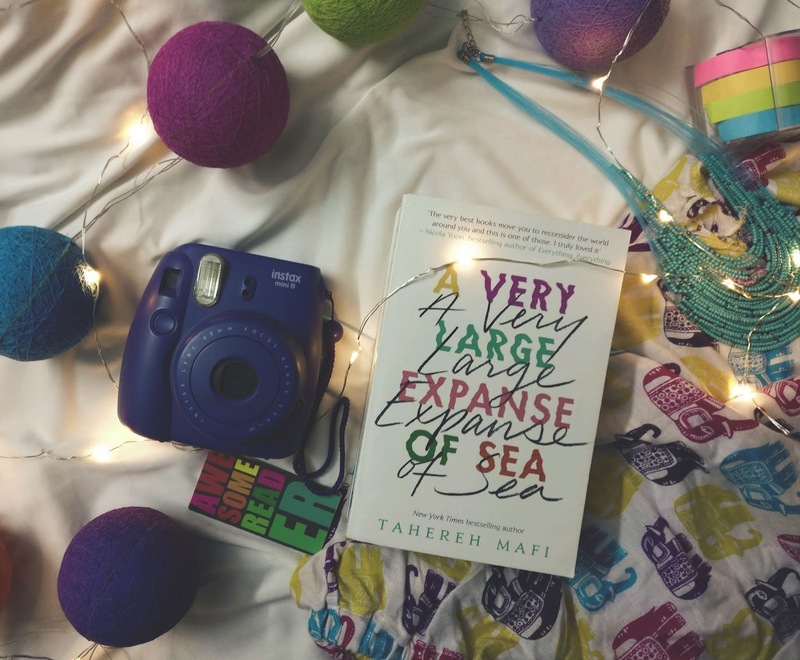 Have you read A Very Large Expanse of Sea, or any other book like it? What did you think of it/ them?